PINELLAS COUNTY, FL, Thursday, January 31, 2019 – Cenergistic awarded the district the Environmental Excellence Award for its outstanding achievement in energy and cost savings since implementing Cenergistic’s Sustainability Solution in January of 2015. 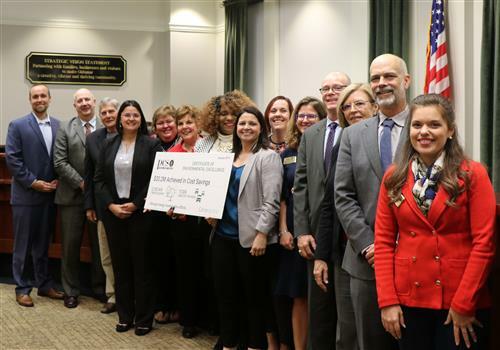 The district has achieved an energy cost savings totaling more than $20 million since partnering with Cenergistic. This represents a 587,036,471 KBTU savings and is the equivalent of removing 17,326 cars from the road or 2,132,416 tree seedlings grown for 10 years.